An entrepreneur that succeed with content marketing does two things very well. First, they identify the best strategy of marketing their content. Secondly, they put all their effort into promoting their content until they’re successful. But you’re wondering how am I going to identify the resources that will help me market my business? 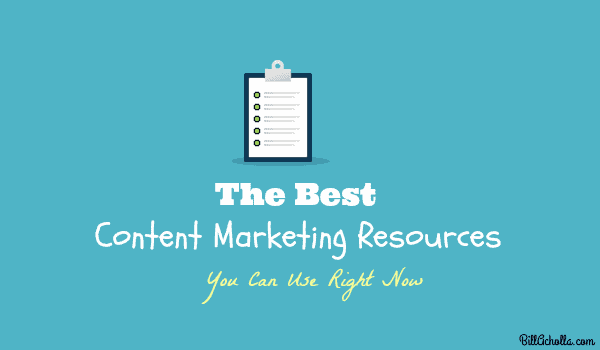 Today I’ve compiled the best content marketing resources that can help you achieve your desired results and help you decide what type of entrepreneur to be. These articles have been written by Journalist and influential bloggers who eat and breathe content marketing. 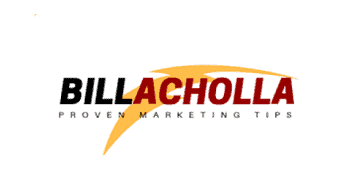 This post provides its readers with useful information about marketing a blog with content. It explains deeply why content is not king and why you need to change your mind when it comes to content marketing. Dou you want to get into your customers mind? This post will guide you how to prepare, strategize, grow and get results for your hard work. If you want to plant and harvest your seeds, then this post is the right resource for your business. 3. If Content Is KING, Where Is The KINGDOM? A Must-Read Post! Content is always not the king. It needs a queen to amplify your results. For your content to be king, it needs to be accelerated with effective distribution. This is a podcast interview that was done by John Lee Dumas with Joe Pulizzi. The podcast shares details about creating an epic content for your business. If you’re an entrepreneur and you want to build your brand with content, then you’ll appreciate this podcast interview. Do you want to grow your business tremendously? Then you should consider, influencer marketing. As we all know you can’t grow yourself, you need influential people to help you. This post will simply guide you how to connect and build a strong relationship with influencers within your niche. If you want to get notice, don’t ignore this resource. If you’re a startup or an entrepreneur who wants to start a business, then this post is right for you. There is nothing good like being covered by a major newspaper or media. Journalists are great people and they love unique stories. The objective of this post is to show you how to connect with journalists who will eat up your story, without having to use any tools except Google. Before you start to write an article, you need to come up with content ideas. And the ideas need to be relevant. If you are a content creator, this post-show you how to come up with unique content ideas based on inspiration. This is a great resource for content writers and freelancers. Do you want to attract the right traffic for your business? Kevan has highlighted 17 best tools that can help you distribute your content to the right audience. You will learn more about Owned, Earned and Paid distribution channels. This is a great resource and I know you will love it. Post #7 was about sourcing for blog post ideas. But this post from Heidi Cohen, is about crafting an engaging headline that will help you generate more exposure for your content. If you want your headline to capture the right audience, then you will enjoy this post. I’ve no doubt if you apply the strategies highlighted by Heidi, you will succeed. Gael Breton did a great job by writing an in-depth post about Onpage SEO Checklist. Before you scale your outreach or rather attracting backlinks, you need to make sure your content has fully met the Onpage requirements. If you want your content to have an impact on SEO, then you can’t go wrong with this post. This post from Brian Dean has tons of ideas on the best ways to create content and promote it the right way. You will not be disappointed by this post. You will learn the best strategies to build your business through content marketing. Do you want more business clients? Getting featured on LinkedIn Pulse is not an easy thing, but Larry Kim has outlined a strategy that you can use to get featured. This post will show you how to get featured and grow your business through LinkedIn Pulse Channels. Ready for attract more qualified traffic to your business? Are you struggling to create an engaging landing page? Well, Adam Connell has explained the top 5 WordPress plugin that can help you create a powerful landing page for your website. If you want to design your website through creating effective landing page, then this post is the best for your business. Do you want to turn around your business through SEO? This is an extreme and detailed post that explains how to get backlinks and grow your business through SEO. It has real world examples that show you how some experts have used the strategies to build their business. It’s an interesting post that can help you measure the effectiveness of your content marketing. Bottom line, if you are an entrepreneur and you want to build your brand through content marketing, then you can’t go wrong with this post. Do you want to drive more clients to your startup business? Then SMS marketing is the right choice. SMS have a huge potential than a typical email marketing. This interview post will explore more ways you can use SMS to market your small business and attract more clients to your business. Get started with the resources. I want you to leave a quick comment and I’ll be ready to engage you. What a monster you put here buddy, and thanks for adding me to the list. There are a few folks I’m not familiar with, so will do my best to go down the list and click to get acquainted. Wow, thanks for the inclusion in this monster resource. Truly appreciate it. Wow, I know I’ll be taking some time this weekend to get familiar with some of these posts. Great job in putting it together, my friend. Thanks Andrew i appreciate your feedback. It’s my first time at your blog. I am glad to see some great stuff here. You have listed some successful bloggers. I know many of them. Adrienne, Kevin and many more are there in the list. There are many bloggers, marketers online. But few are there who have influenced their audience. Thanks Ravi, these are great influencers. Thanks so much have a great time too! Wow! Great list i really enjoyed this. Thanks Jacob am happy you enjoyed. Have a nice time.